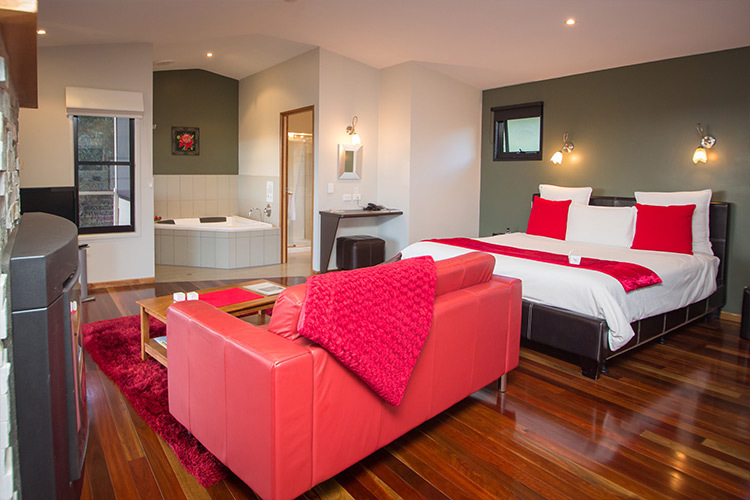 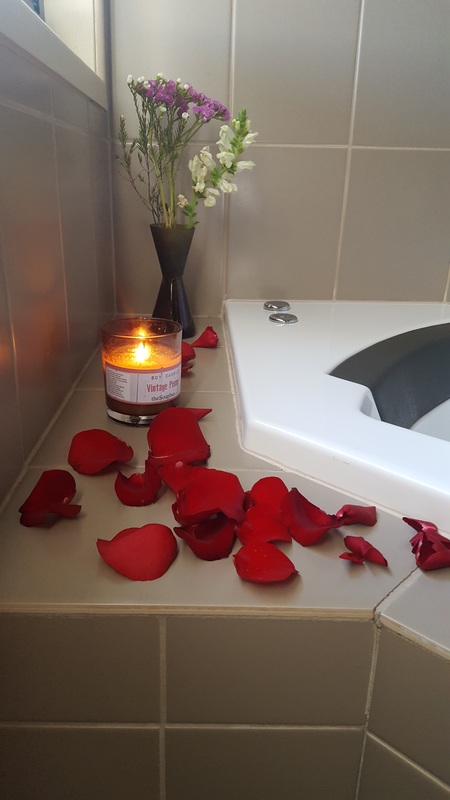 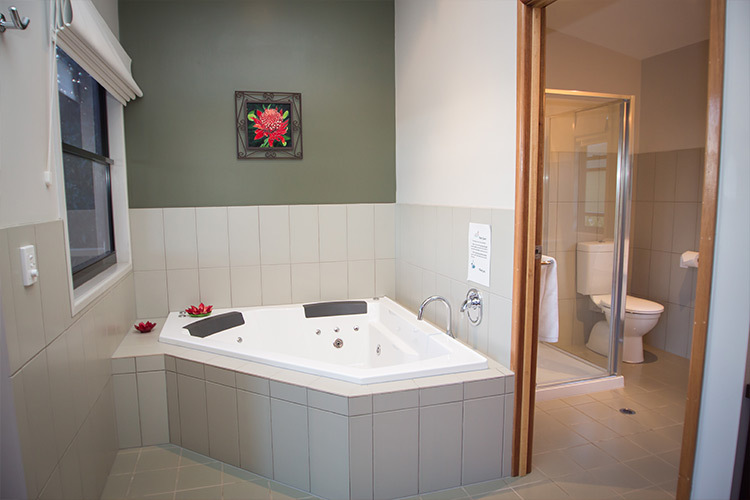 Warm and romantic with a touch of red, this welcoming cottage will entice you to luxuriate in the candle-lit double massaging spa bath and king size bed. 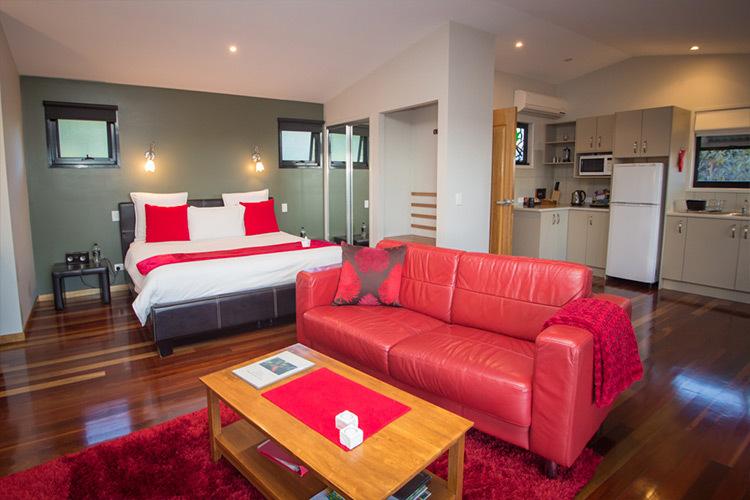 Snuggle up in winter in front of the gas log fire or indulge your inner chef in the fully equipped kitchen. 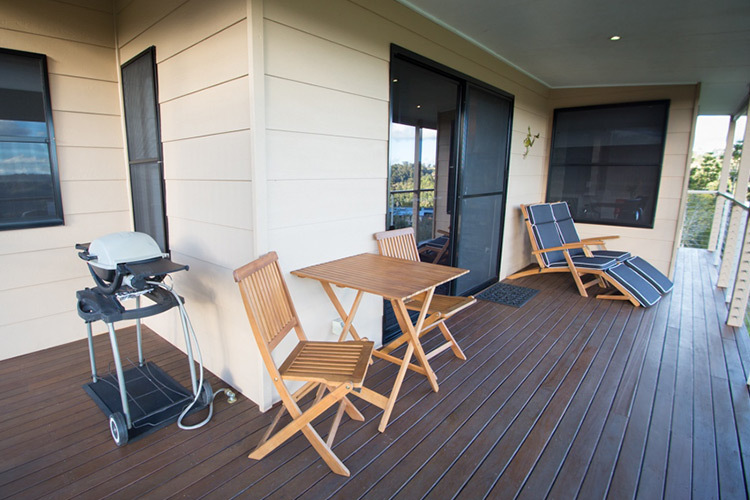 Perhaps you prefer a gourmet BBQ on the spacious veranda overlooking breathtaking views, bathed in the setting sun.